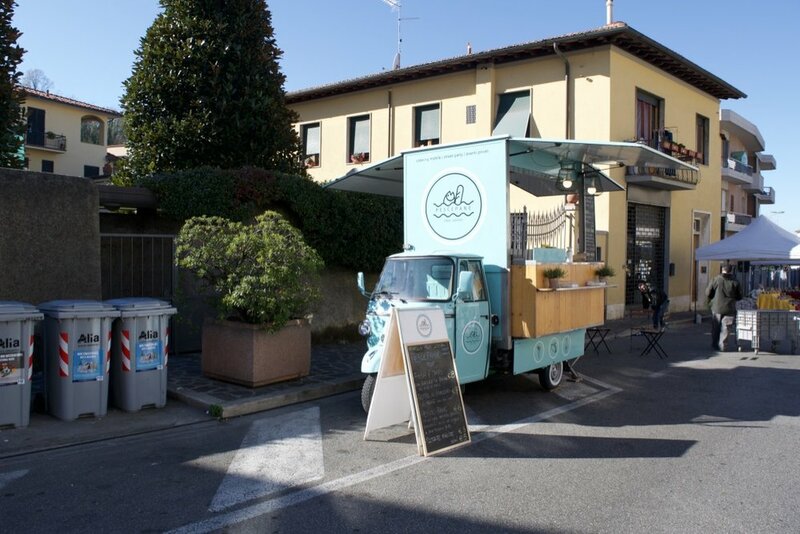 This past weekend, J, Baby ISO, and I cycled out to Bagno a Ripoli, a commune just southeast of Florence, to partake in their annual olive oil production festival. Apparently, olive oil festivals occur all over the region in mid-November and allow visitors to taste the different oils produced hyper-locally. We've been missing the frequent festivals that Vilnius holds, so we both jumped at the idea when J heard about this festival from colleagues. So, with a sunny forecast on Saturday, we hopped on our bikes and headed out for a bike ride. The olive oil festival took place in the parking lot near the beautiful Giardino dei Ponti and along Via Roma, the main road in the small downtown, which was closed to traffic for festivities. There were numerous vendors selling home-produced oil oil, specialty baked goods, jams, and fresh produce. There were also volunteers cooking and selling prepared food and all of the proceeds were to go back into the commune, which I think is great! Bagno a Ripoli is a rather large, spread out commune, which from what I've seen, has a nice downtown, necessities like pharmacies and grocery stores, and several restaurants. La Bottega di Pane and Bar Mario are two places we've tried for nice pastries and are both on Via Roma. There is also a really wonderfully maintained playground in a park called Giardino dei Ponti, and a nearby vegetable seller. Giardino dei Ponti has some nice hiking trails and a parking lot if you want to check it out, but are arriving via car. This is a great starting point for walking through the small downtown or grabbing a bite to eat. 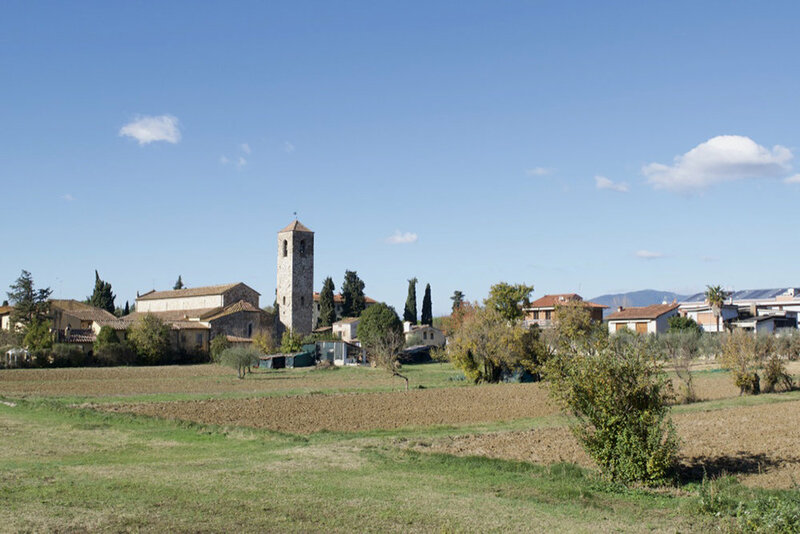 For those also seeking to bike out to Bagno a Ripoli, there are bike paths along Via Villamagna, Via Portogallo, Via Europa, and next to Pieve di Ripoli (a church you'll see from Via Europa)--the bike paths unfortunately don't show up on Google Maps though! The ride takes about 20 minutes from Ponte Verrazzano, where there are bike paths that connect to nice routes along both sides of the Arno. If you don't have your own bike, Florence recently started a bike sharing program called Mobike and these can be found throughout the city and in Bagno a Ripoli. I haven't tried Mobike since I have my own (and we need a baby bike seat), but Girl in Florence has a great post about how biking sharing in Florence works. And if you are on your own bike, don't forget to lock it up carefully since bike theft is a problem in Florence! Have you been to Bagno a Ripoli? We actually thought about living in this commune, but we didn't think country life was for us. I'm certainly happy we are just a bike ride away though! I'm linking up with the wonderful CityTripping link up held by Wander Mum and Mummy Travels.